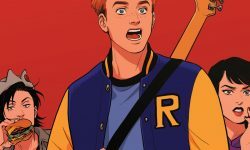 Home Posts tagged "mark waid"
The fallout from OVER THE EDGE continues in ARCHIE #23 – Heart of Riverdale Part 1! A phone call leaves Riverdale in shock! Read a preview of ARCHIE #21 – OVER THE EDGE Part 2!